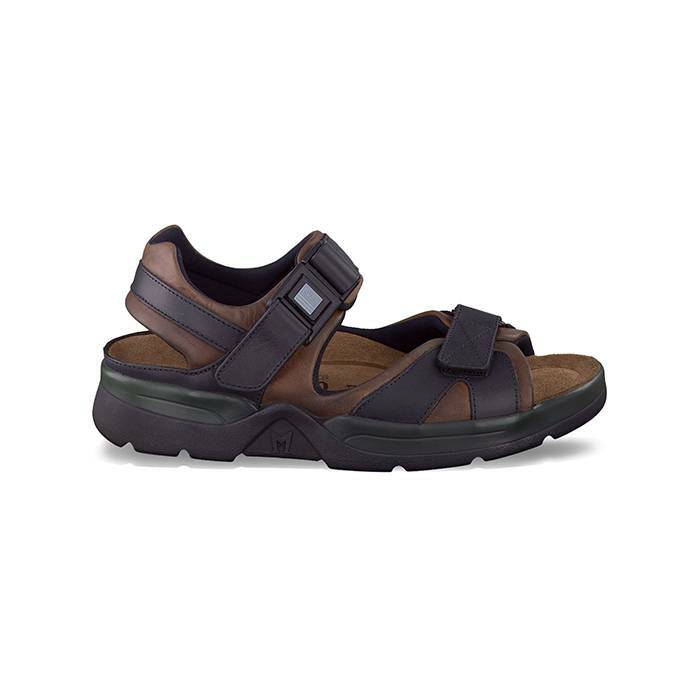 The Mephisto Shark sandal for men is perfect for walking on various terrain. From the makers of the “Worlds Finest Footwear”, the Mephisto Shark Brown Black men’s sandal has been a favorite in the Mephisto’s men’s sandal line for many years. No matter if your traversing on dirt trails or the concrete jungle, the Shark will get you where you need to be. With it’s buckle strap and the hook and loop closure of the front strap, this adjustable sandal is easy to get on and off. Internationally known for their outstanding craftsmanship and lasting comfort, MEPHISTO footwear makes tired feet a thing of the past. The revolutionary SOFT-AIR TECHNOLOGY is the innovation behind this exceptional comfort. The flexible SOFT-AIR midsole minimizes the shock from walking, offering protection to your feet, relief for your joints, and proper care of your back. The breathable nature of this exclusive midsole also enhances air circulation to ensure a healthier environment for your feet.